Made to measure blinds are an essential feature in many of our homes. If you treat them with the respect they deserve you will be guaranteed to have many years of good usage out of them. Regular cleaning and dusting of blinds is essential to prevent the build-up of dirt and grime over time. 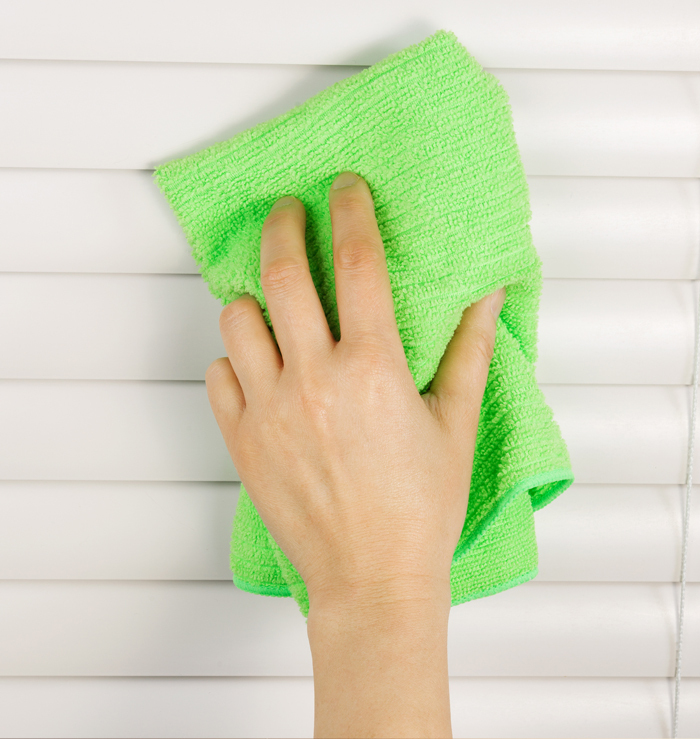 Here are some important tips on how to clean your blinds no matter what style they might be. These are one of the more easy types of blinds to keep clean as they can be washed, vacuumed or dusted – it all depends on how dirty they’ve become. Due to their smooth surface they are easy to dust which will keep them clean in the long run. When dusting use a soft cloth, if using a vacuum attach the brush attachment and tilt the slats. If washing the blinds use a damp sponge and some washing up liquid. Remember to ensure you dry them carefully afterwards to prevent smearing. Wood blinds should be cleaned in the same way as aluminium blinds, the only exception being not to wash them with water as this can cause serious damage to them and discolour the slats. Stick to a soft cloth and vacuum. Fabric blinds are mostly designed to be anti-static so shouldn’t need too much attention from your vacuum and its brush attachment. For more thorough cleaning look to see if the blind has a (P) symbol. If it has this symbol it means the blinds are suitable for dry cleaning. If not possible then use a damp cloth with lukewarm water to wipe them clean. Again look for the (P) symbol on your blind. If it has this it can be dry cleaned. Remove the blind from its mounting and remove any fabric rods and the bottom bar. If this is too much like hard work you can use the fabric cleaning tool on your vacuum cleaner. This entry was posted in Blinds and tagged advice, cleaning, maintenance.